Front row (left to right): Dalton Ketelaar, Hunter Van, Coach Tom Marchese, Jarrad Whited, and Seth Benson. Second row (left to right): Conner Henderson, Keenan Erb, Mitchell VanSchoick, Brenden Lovell, Bailey Slater, Blake Rankin, Justin Gearig, and Eric Babcock. Third row (left to right): Caleb Kudary, Nick Towns, Gary Corsaut, Brad Willis, Shaquan Vanostran, Austen Gohl, Nick Wallace, and Team Manager Josh Hull. Fourth row (left to right): MJ Nicholas, Team Manager Parys Goznzales, Michael Ward, Keegan Frisbie, Cordell Cavazos, Miguel Garrido, Mitchell Cantrell, Chris Manocke, Matthew Klingele, and Cole Curtis. Back row (left to right): Jacob Dilly, Mo Quesada, Bailey Kloosterman, Assistant Coach Scott Gajos, Assistant Coach Mark Blaesser, Athletic Trainer Rubie Gaudette, Assistant Coach Brian Deal, Assistant Coach Nate Heath, Tim Hetrick, and Curtis Shackelford. Missing from the photo: Benjamin Dull. Front row (left to right): Austin Grinnell, Deondre Lovell, Adam Grabowski, Drew Hamilton, Matt Holman, and Caleb Kropp. 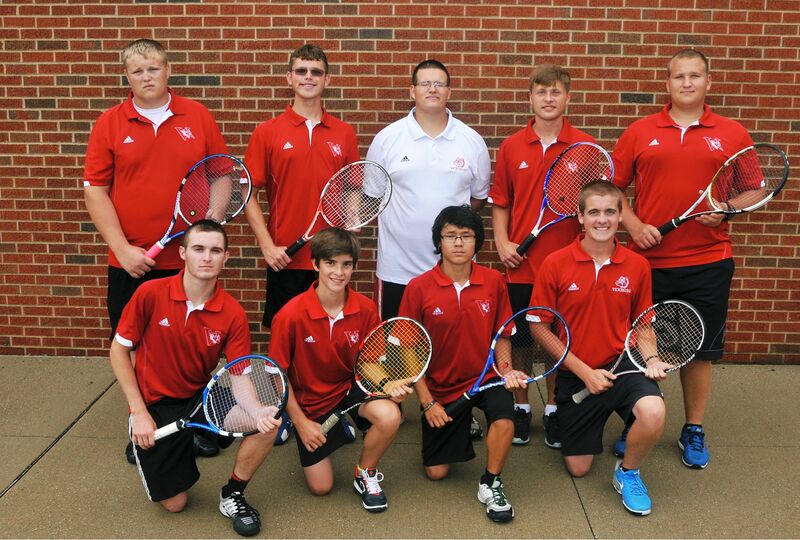 Second row (left to right): Nathaniel Penning, Garrett Ketelaar, Michael Thompson, Tanne Mendham, Tabor Lutz, Cody Crippen, and Yuya Kanamori. Third row (left to right): Shane Cousins, Luke Finney, Mark Goertler, Sonny Evans, Trace Puckett, Conor Frederick, and Abiel Taylor-Silva. Back row (left to right): Coaches Brian Deal, Canaan Groff, and Don Puckett. 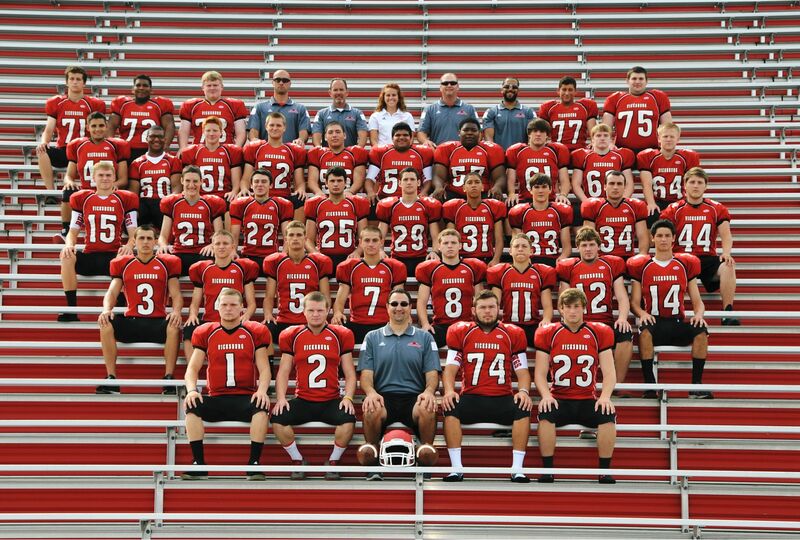 Front row (left to right): Brennan Johns, Josh Holmes, Deandron Bullock, Wyatt Adams, Logan Alleshouse, Trenton Johnson, Dominic Buentello, Cohl Riddle, and Ryan Morgan. 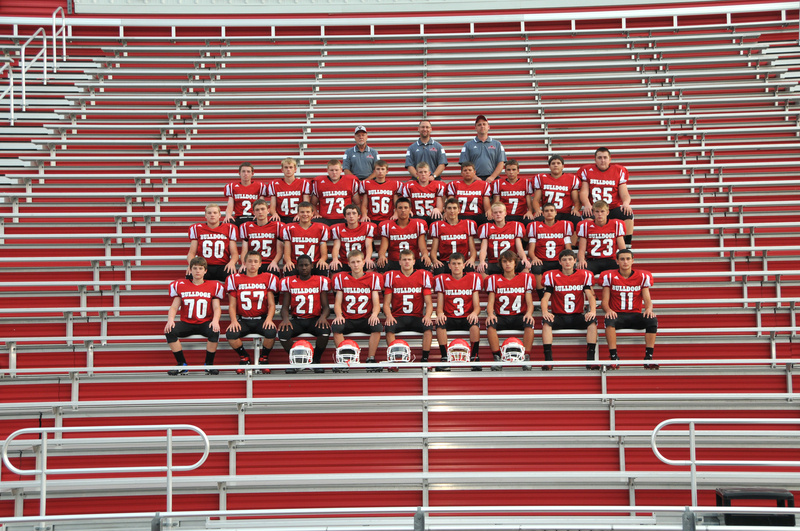 Second row (left to right): Austin Povlock, Cody Leonard, Brennan Hamilton, Austin Bresnahan, Trenton Lomason, Nolan Gohl, Ryan Fort, Caleb Conklin, and Eric Welch. 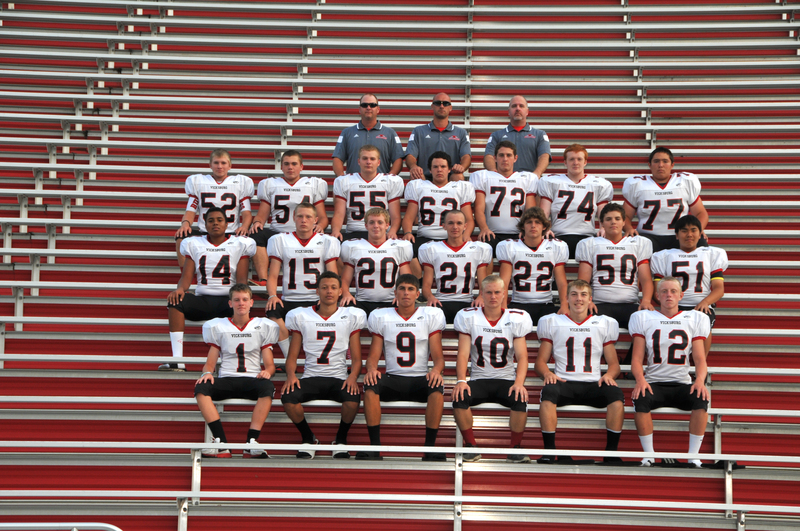 Third Row (left to right): Tim Gearig, Nick Dilly, Trae Sehy, Cody VanderHorst, Cole Mallery, Wyatt McClish, Chase Young, Tanner White, and Parker St. Clair. Back row (left to right): Coaches Paul Gephart, Zach Wierenga, and Bret VanZanten. Front row (left to right): Matthew McGehee, Tyler Tompkins, Jaymie Gapayao, Joseph Kline, Kaleb Lewis, Artem Booth, and Alvaro Ugarte-Diez. Back row (left to right): Coach Warner Offord, Logan Tassell, Andras Antal, Daniel Gwin, Weston Siefert, Chase Tyre, and Coach Eric Flickinger. 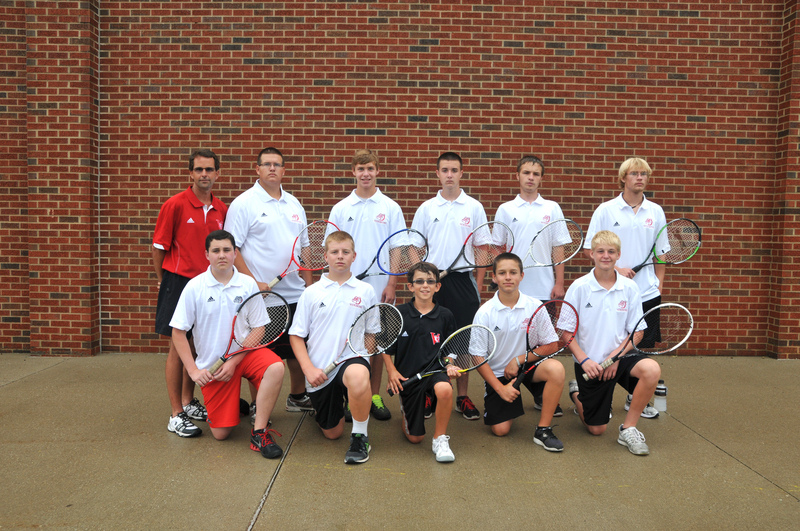 Front row (left to right): Dustin Tibbetts, Alex Harsha, Ayden Flickinger, Bryce O’Neill, and Caleb Fort. Back row (left to right): Coach Eric Flickinger, Shane Hyman, Connor Seifert, Garrett Brewington, Tate Bickle, and Dallas Arnott. Front row (left to right): Kayleigh VanAtti, Ciera Rance, Kacey VanDerBos, Dori Mulder, Madilynn Ludy, and Jessica Buell. Middle row (left to right): Emily Towns, Hailey Davis, Brooke Bowers, Cayla Klimach, Sarah Stasik, Makayla Peacock, and MacKenzie Davis. Back row (left to right): Kaylie Ruch, Megan Kameron, Madison Kline, Coach Nicole Laster, Kelsey Gillies, Jazz Porter, Taylor Grigg, and Lexi Ott. 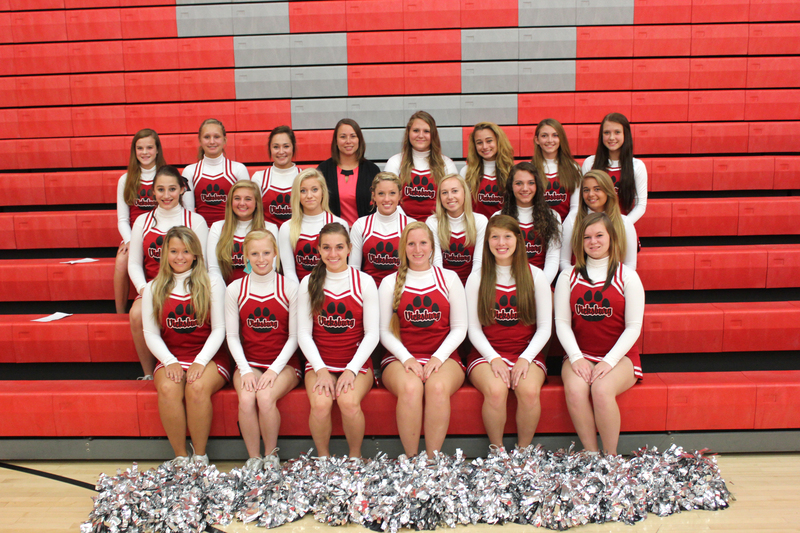 Front row (left to right): Brittany Warner, Baylee Lowe, and Amber Ijams. Middle row (left to right): Mikaela French, Faith Kirkendall, Hannah Goodhew, Chelby Zantjer, Ashley Barnebee, Katelynn Shumaker, and Morgan Crist. Back row (left to right): Aurelia Goodman, Taylor Woosley, Coach Ale Webster, Taylor Burson, and Breanna Wyles. Missing from the photo: Allie Garrison, Lauren Geesaman, and Kayla Kline.